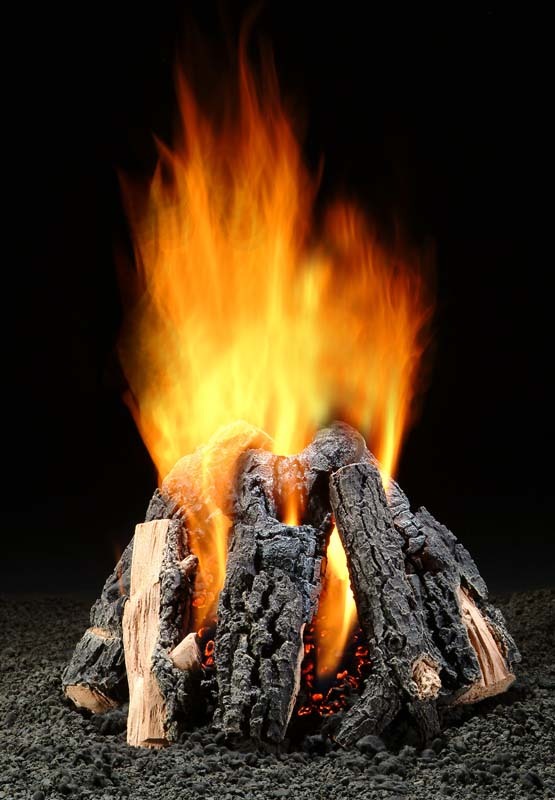 Ceramic Fiber Logs – The properties of the ceramic fiber logs are different than refractory or concrete logs. 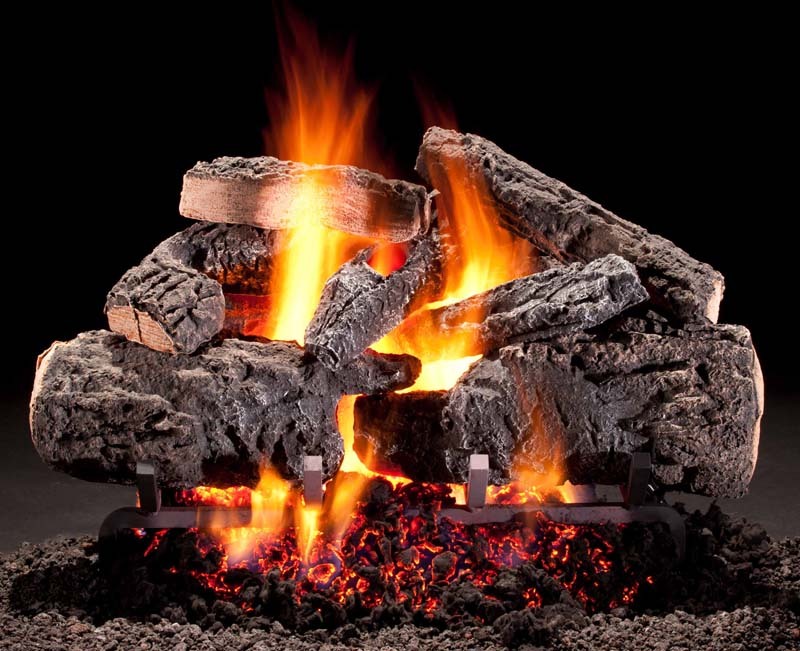 Refractory logs radiate some heat but mostly absorb the heat into the body of the log. 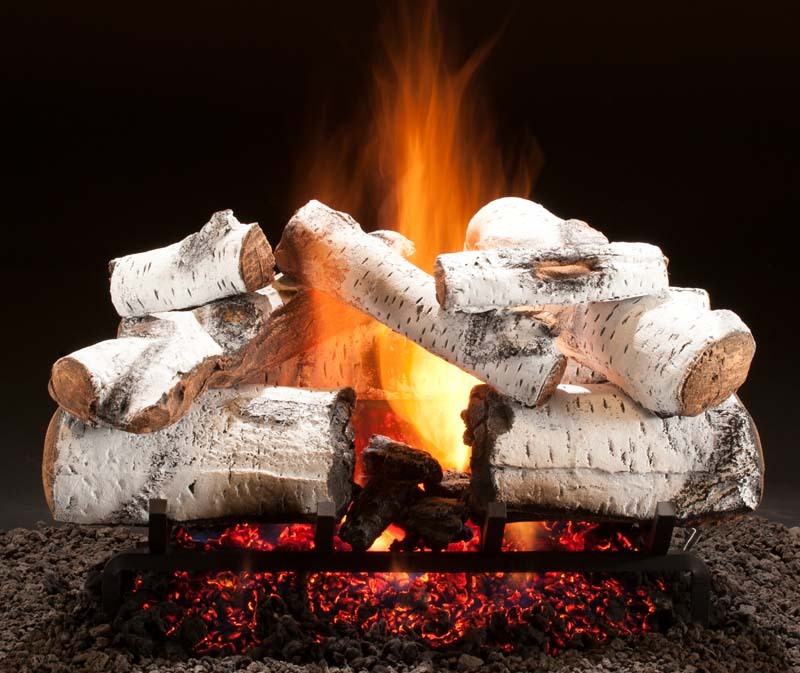 The ceramic fiber logs push or radiate heat from the heated surface of the log into the living space, thus taking full advantage of the heat being produced by the flame. 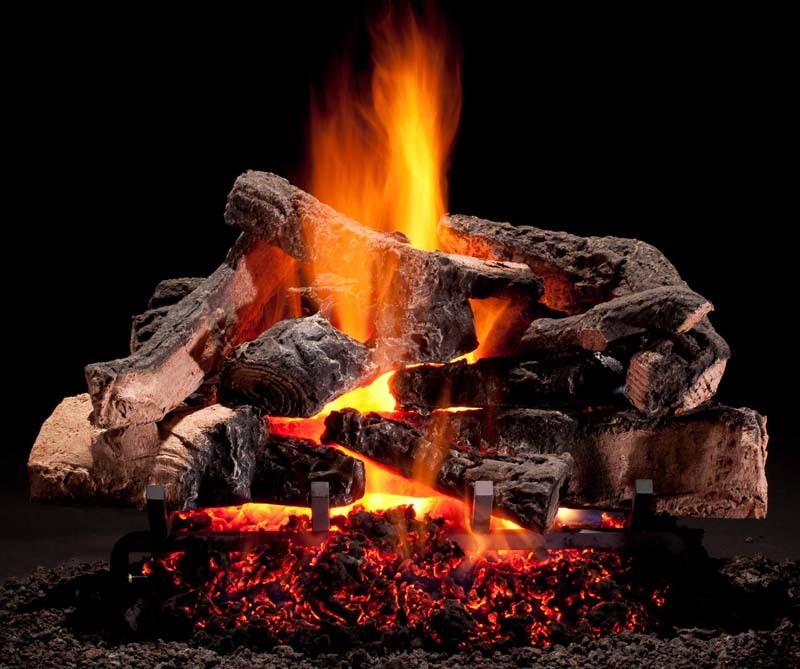 H-Burner – To help achieve the most radiant heat, it is important to heat more surface area on the logs. 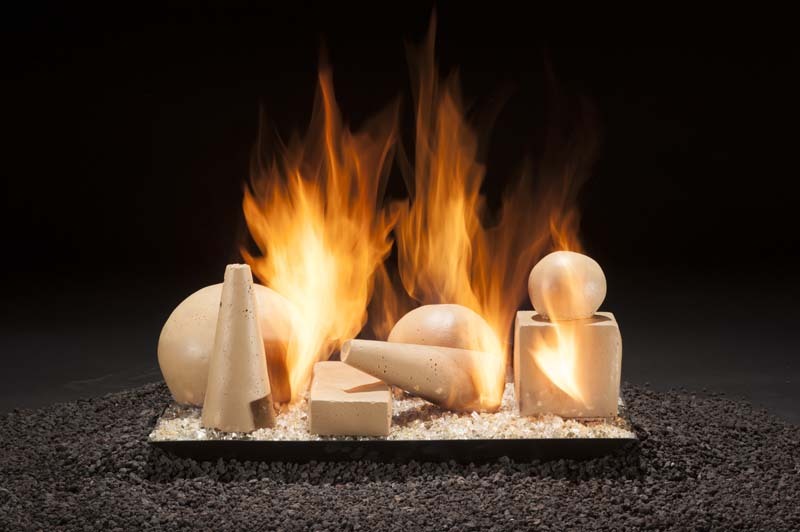 Although all Hargrove burner systems work fine with the ceramic fiber logs, the H-Burner produces the largest body of flame thus maximizing the radiant heat output. 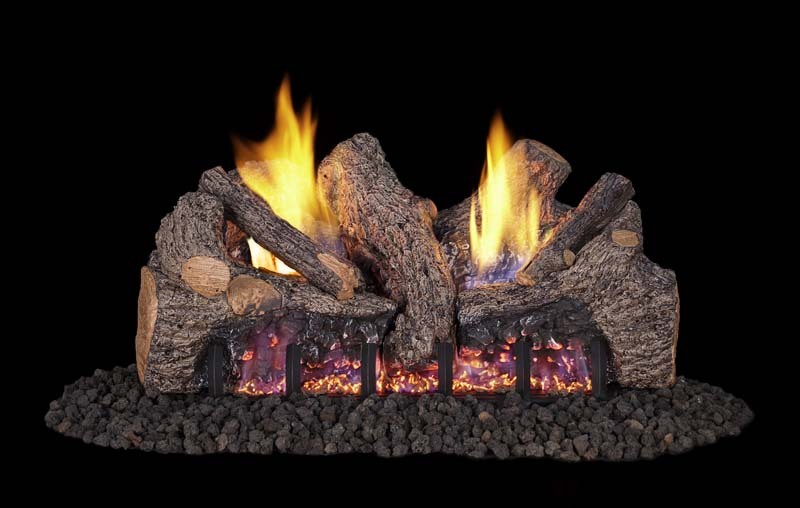 Radiant Riser – This U-Shaped log piece helps create the “heat chamber” in the middle of the log stack. Radiant Glow Bracket – A piece that attaches to the back of the H-Burner which bridges the gap between the back wall of the burner and the Radiant Riser. The barrier created directs the flame and heat to the heat chamber thus maximizing the radiant heat production. Available in 21″, 24″, 30″ and 36″ sizes. 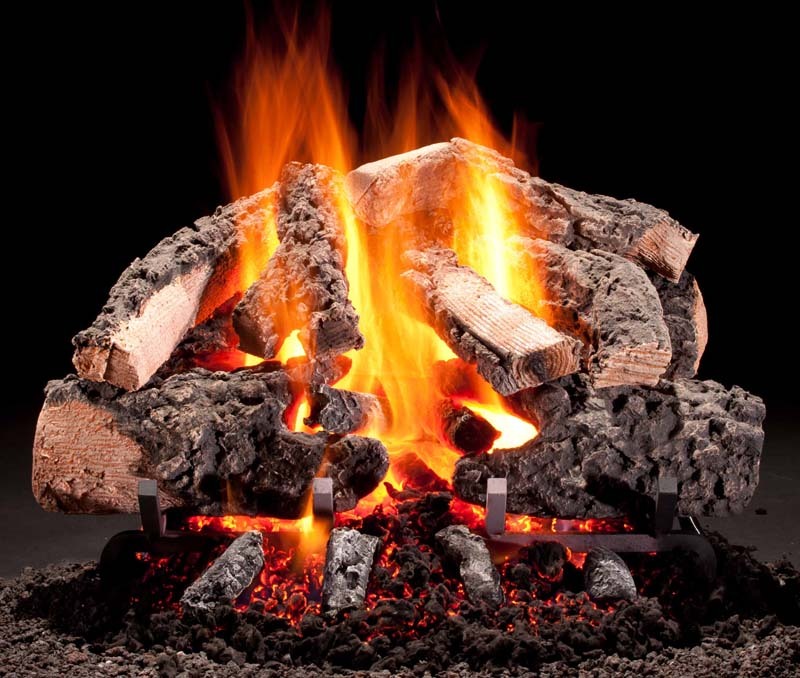 Timbers Series Radiant Heat logs redefine the role of a vented gas log set. Our revolutionary molding process captures all the detail you expect from Hargrove in ceramic fiber, for maximum heat radiance. 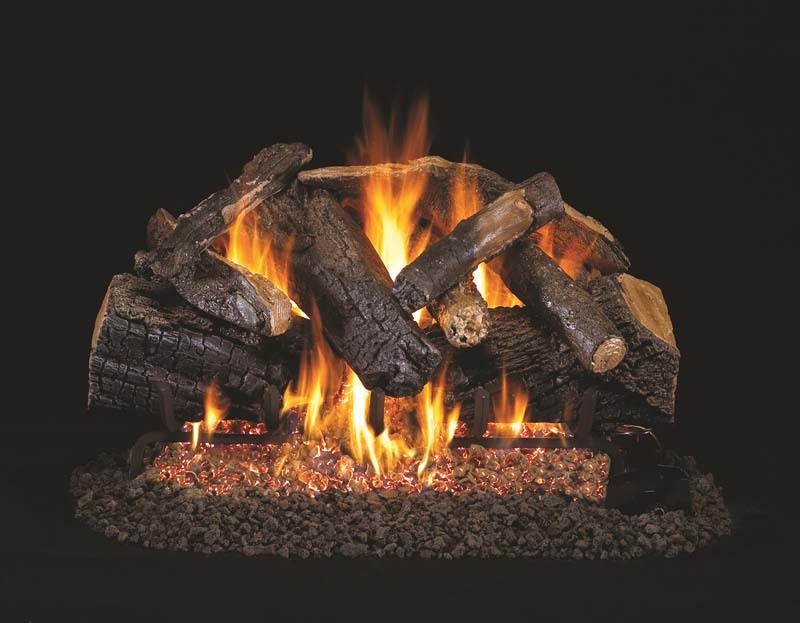 Our radiant riser technology directs this heat forward and into the room, creating radiant heat output comparable to vent free, with the natural beauty of vented logs.